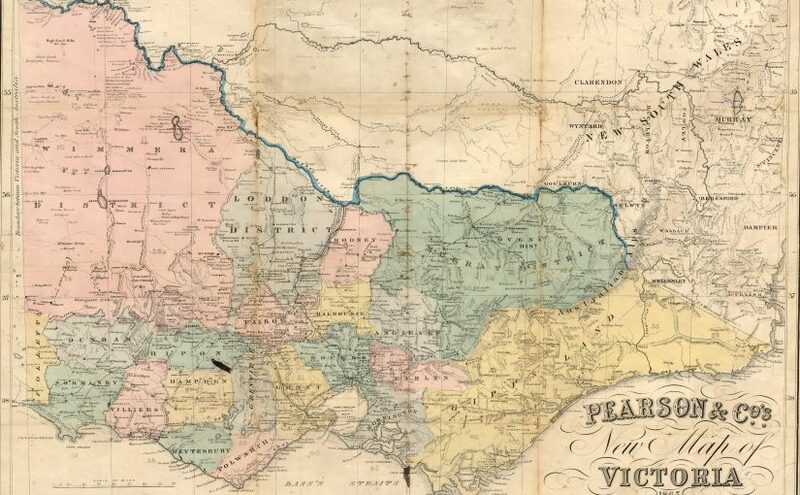 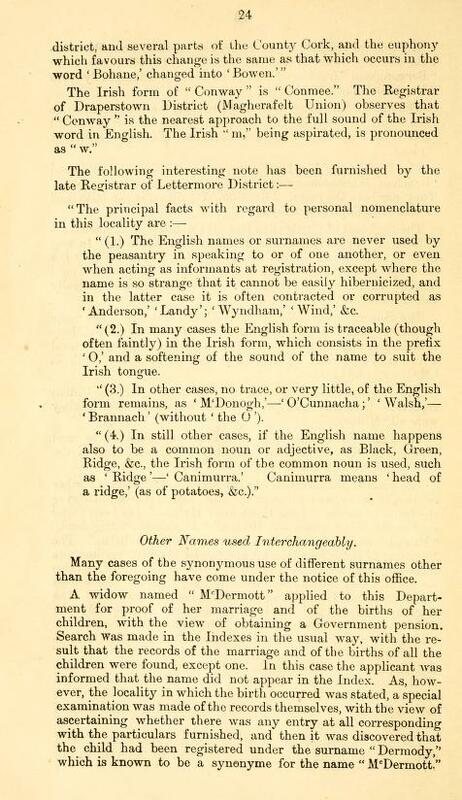 In birth, marriage and death records in Victoria, Australia, place names are most often abbreviated. 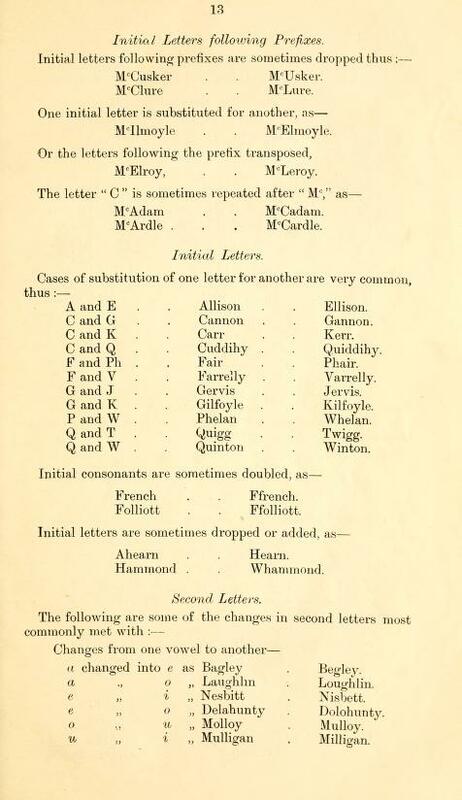 These abbreviations can be somewhat cryptic and idiosyncratic. 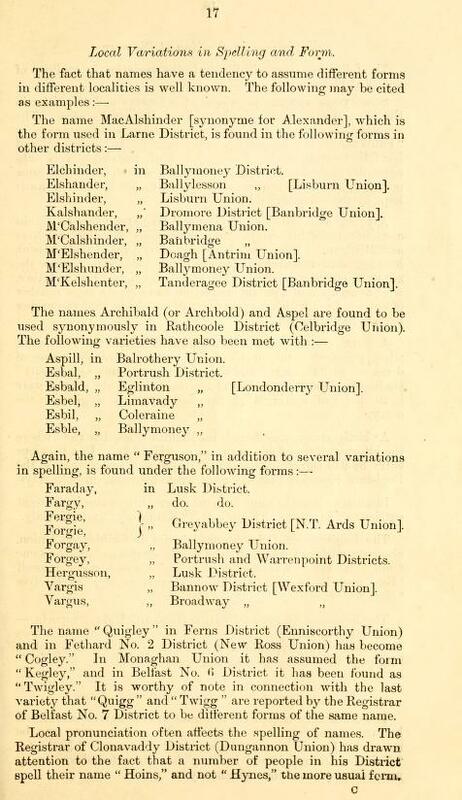 As I was researching my family history I made a list of these place names and abbreviations. 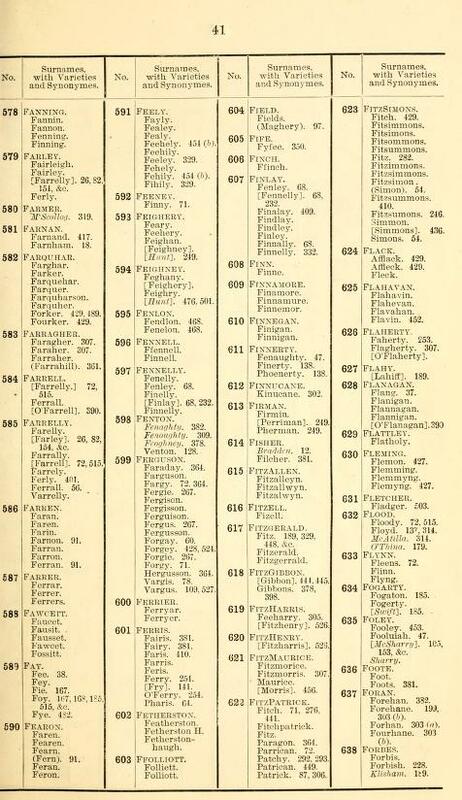 The PDF file is my compilation. 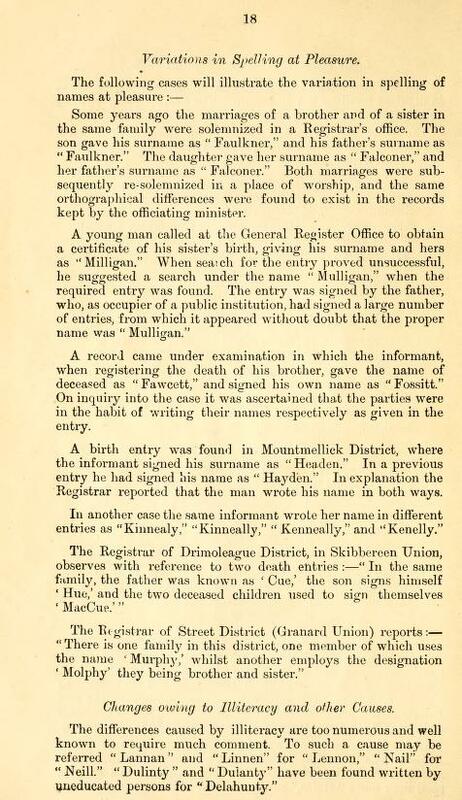 If you click on the link below a PDF file should open up. 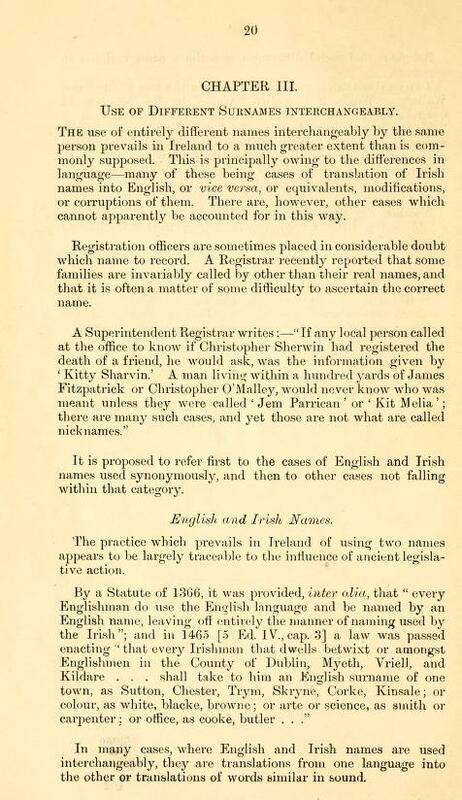 Let me know if it doesn’t. 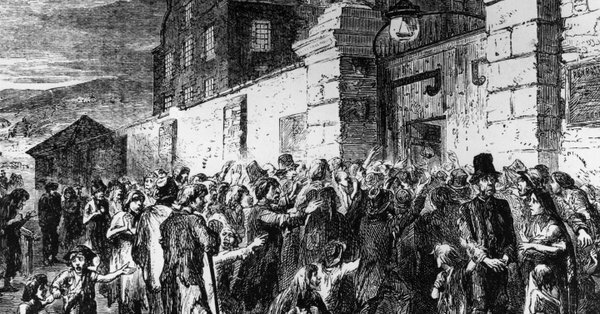 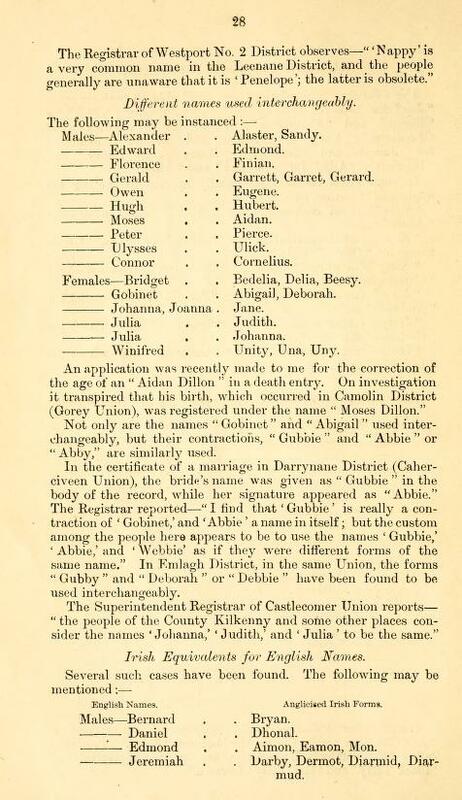 They may be of help in locating your ancestors in Victoria. 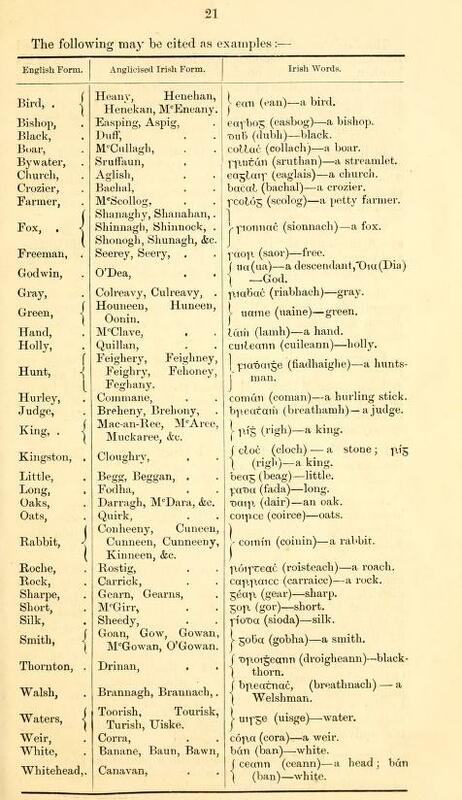 If you find any mistakes or additions please let me know. 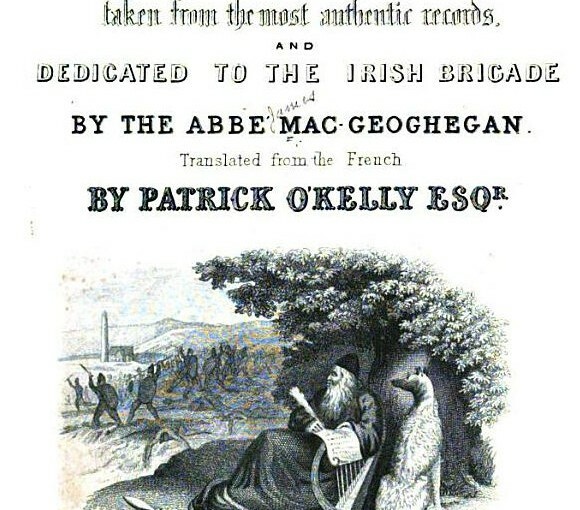 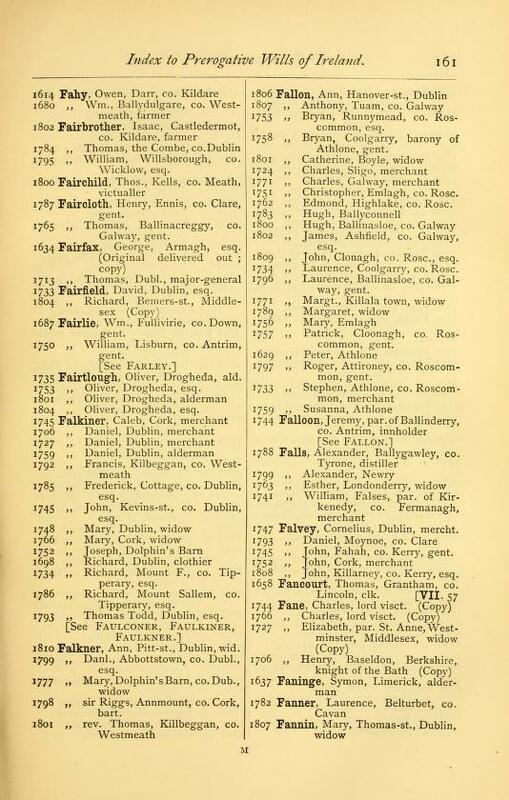 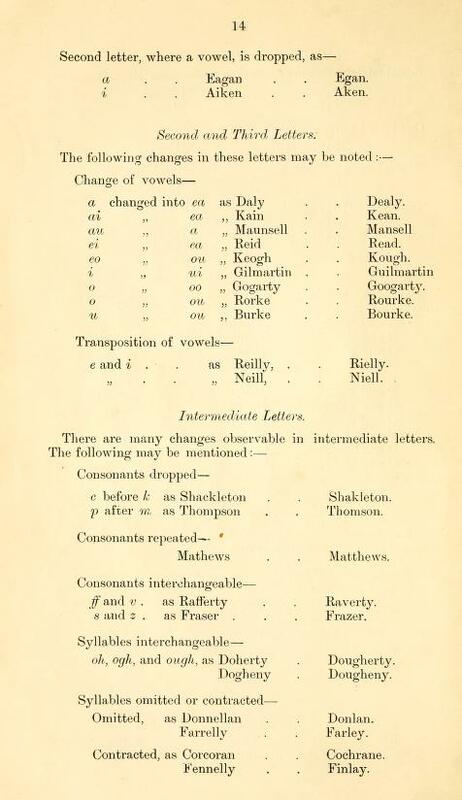 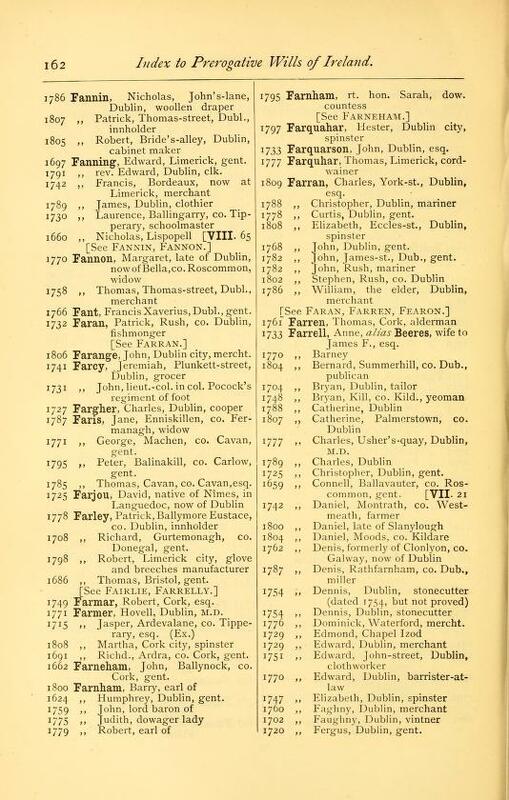 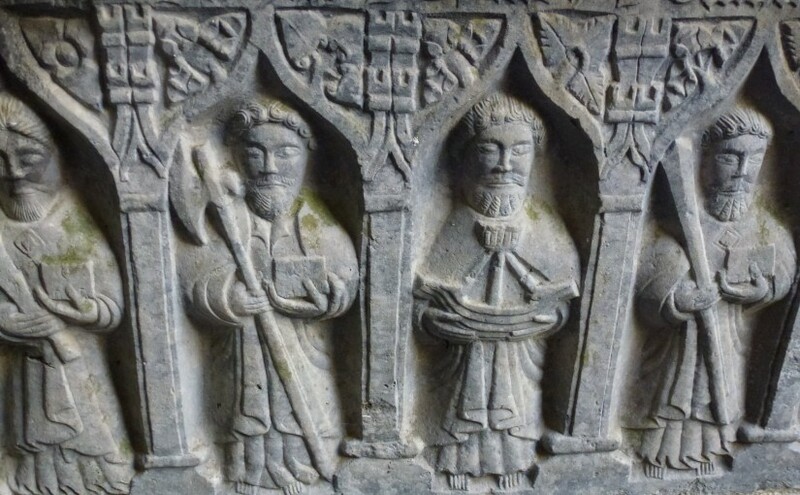 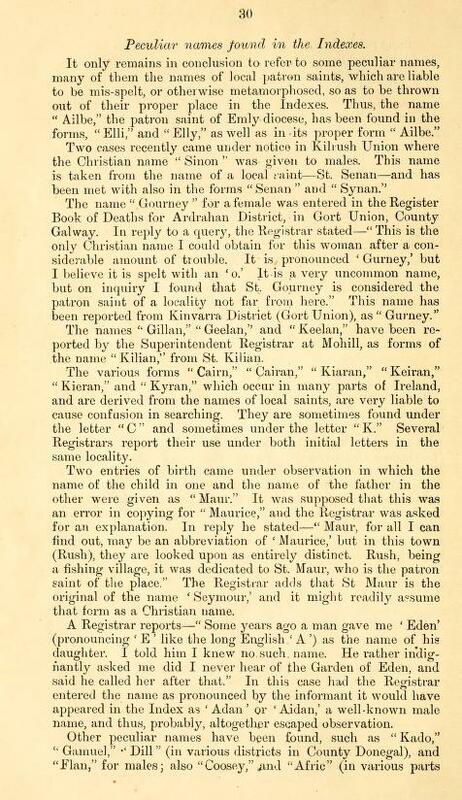 “Varieties and Synonymes of Surnames and Christian Names in Ireland” by Robert Matheson could help in tracing Irish ancestors in parish records. 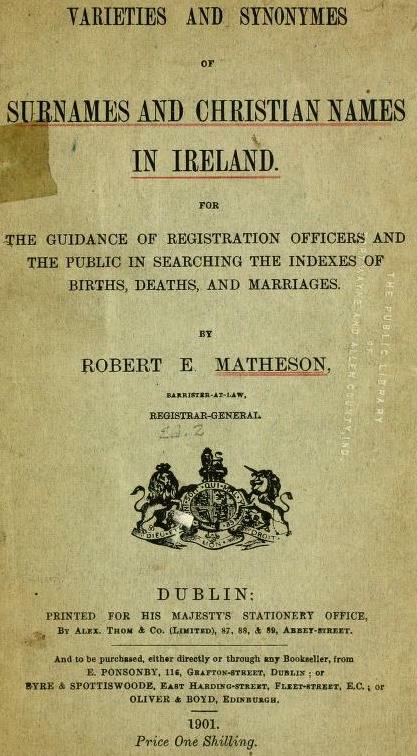 It can be viewed online. 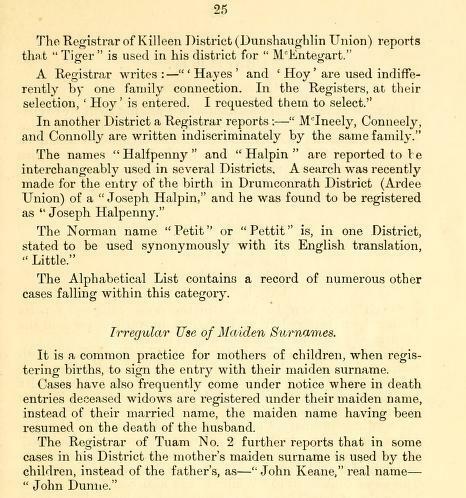 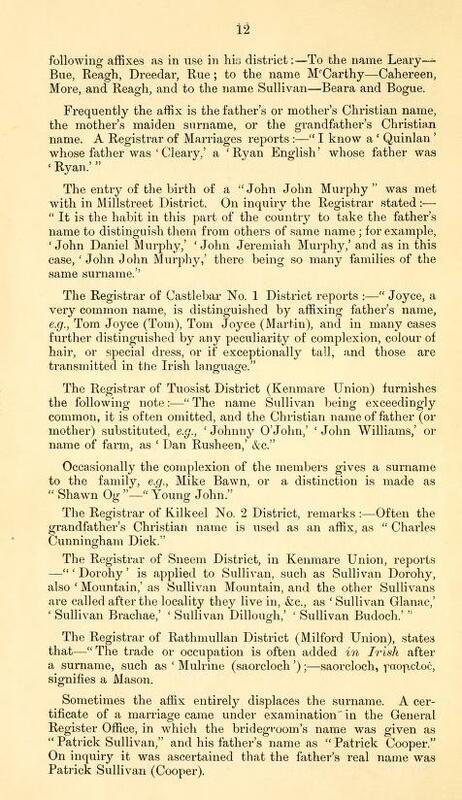 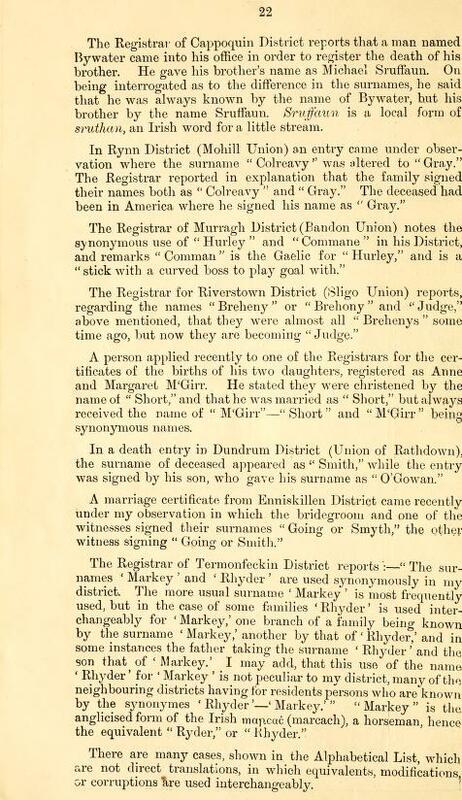 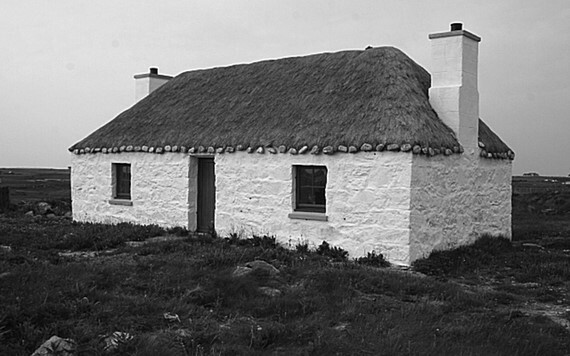 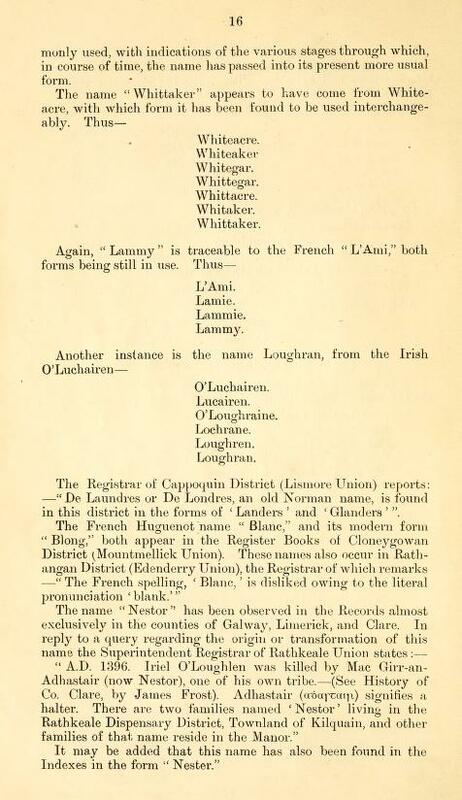 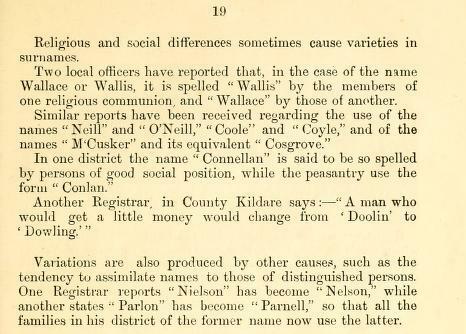 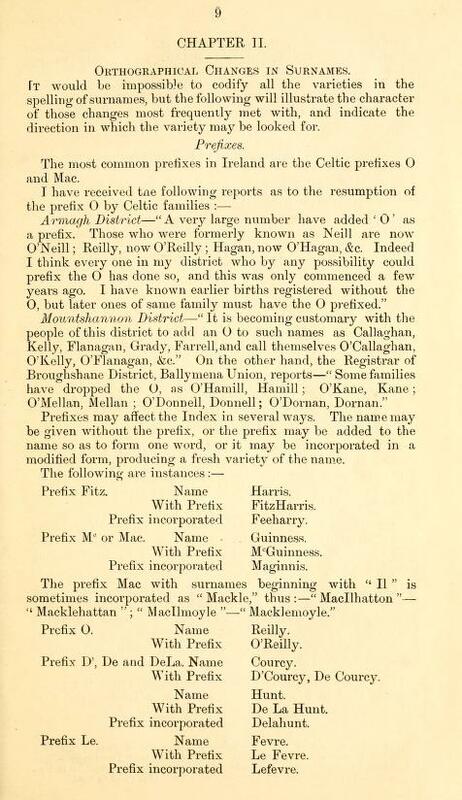 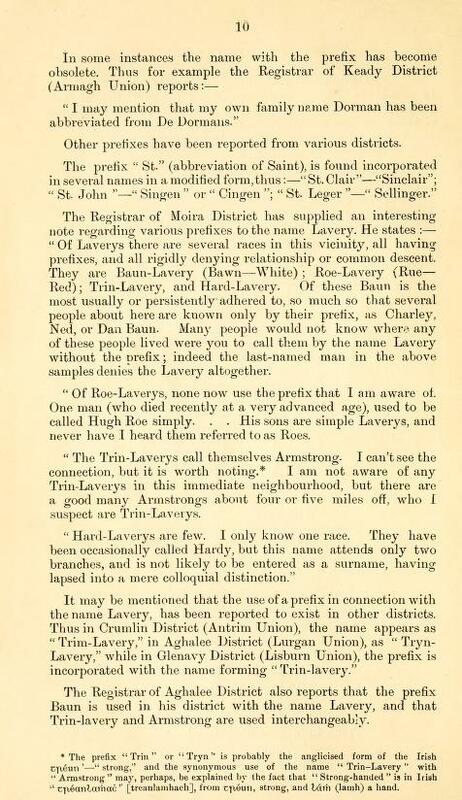 The many Christian and surname variations in Irish records can make finding the right one diffficult. 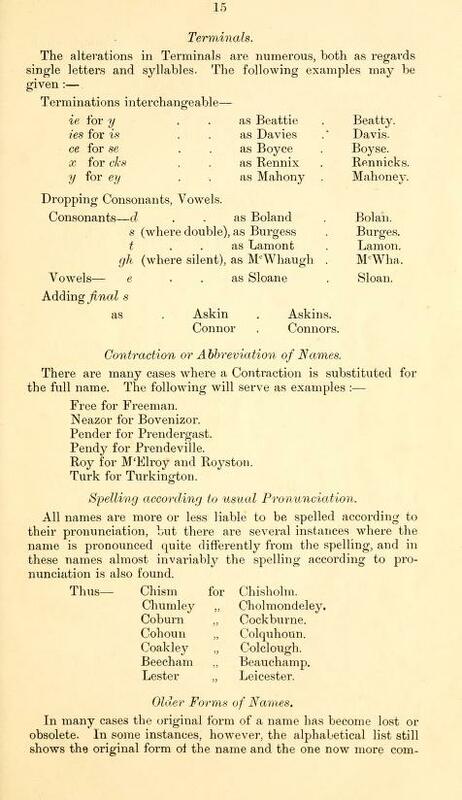 These name variations are not just in spelling. 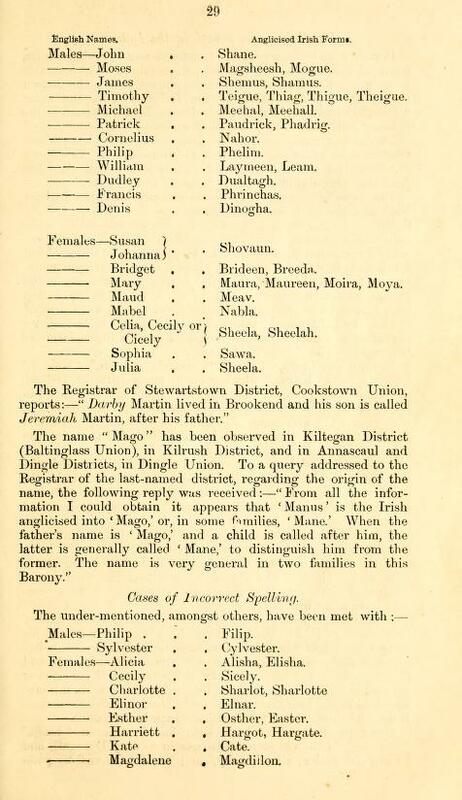 Entirely different names are sometimes used synonymously by the same person or by members of the same family. 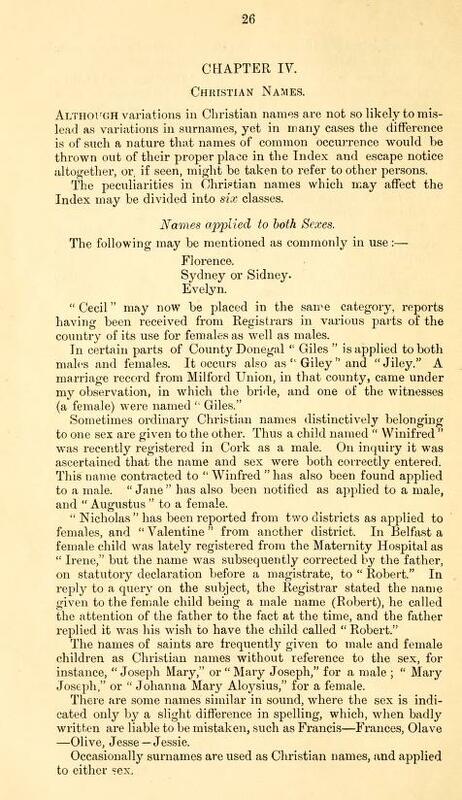 One of my gggrandfathers was sometimes called Bryan and at other times Bernard. 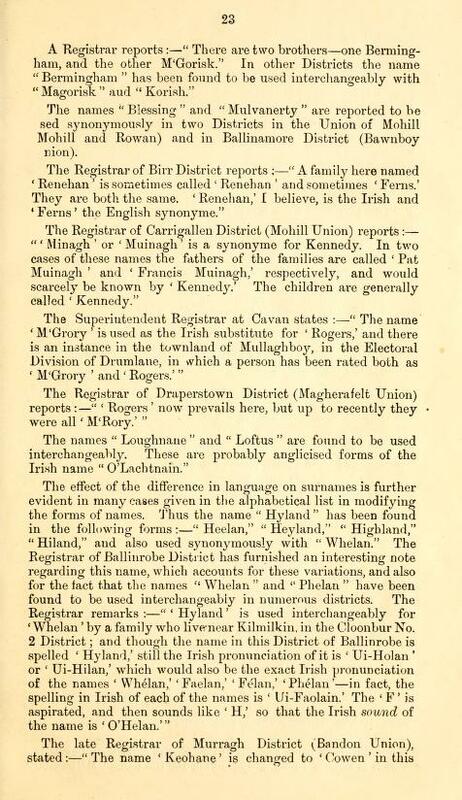 In this book I discovered that Bryan was the anglecised Irish form of the English name Bernard. 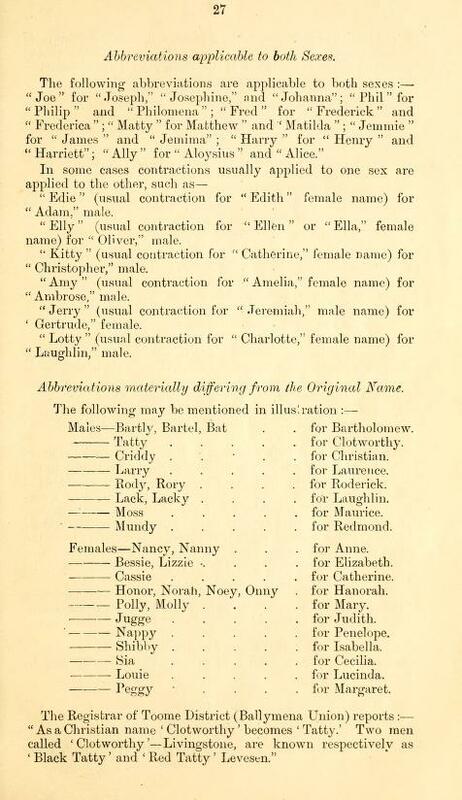 There is a section in this book called “Alphabetical List of Surnames with their Varieties and synonymes” which gives the variant surnames. 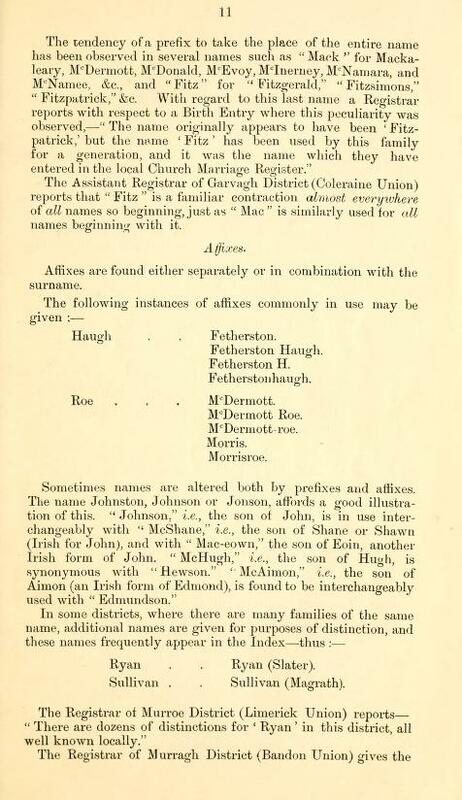 Fanning variant surnames in Ireland and also in Australia.